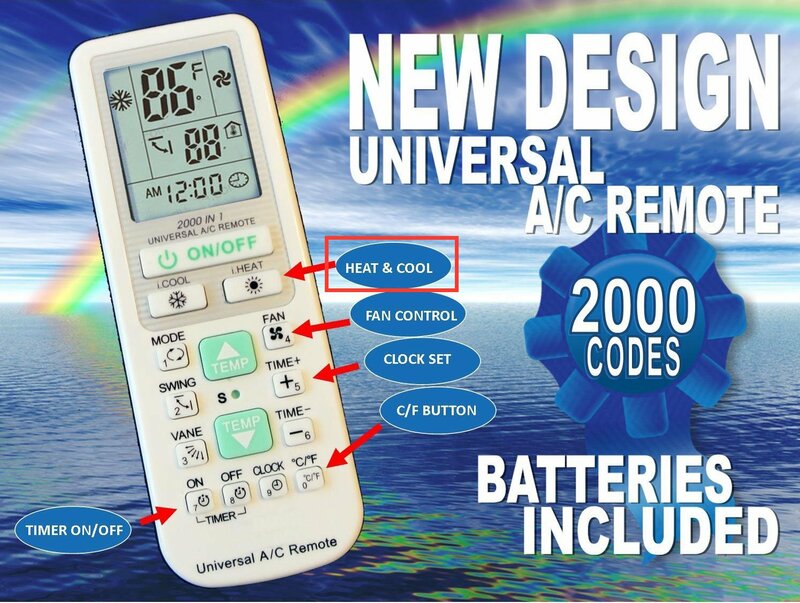 On most air conditioner remote controls, you can find buttons such as Heat / Cool. Users must switch to the cooling mode in summer, and to the heating mode in winter. Curiously, Heat 25°C(or 77°F) is usually too hot, while Cool 25°C is too cold, which may cause confusion to careless users. Here is my question: is this button necessary at all? Why don't the air conditioner simply try to keep the room at 25°C, regardless of the current temperature? Most air conditioning systems are built to do all three things. They can be used to set a fixed temperature but this is incredibly inefficient as the heating and cooling systems are effectively working against each other as the heater needs to over heat the area for the sensor to register the correct temperature for a short while before it gets too hot and the cooling needs to kick in, overcooling the area, and so on. To solve this, a wider range of temperatures is used. Cooling can be set to kick in when the temperature is above say 23° and the heating when the temperature is below 19°. That way the two systems are only reacting to the rooms natural temperature rather than the temperature created by the opposing system. For actual numbers it's probably best to ask a heating engineer. There may also be cases where there really is no need to heat an area but it must be kept below a given temperature or vice versa. Not the answer you're looking for? Browse other questions tagged usability user-behavior physical hardware household or ask your own question. Why people tend to go traditional instead of using their cool reminder phone app? Include UI Play/Pause buttons even though remote contains same functionality?